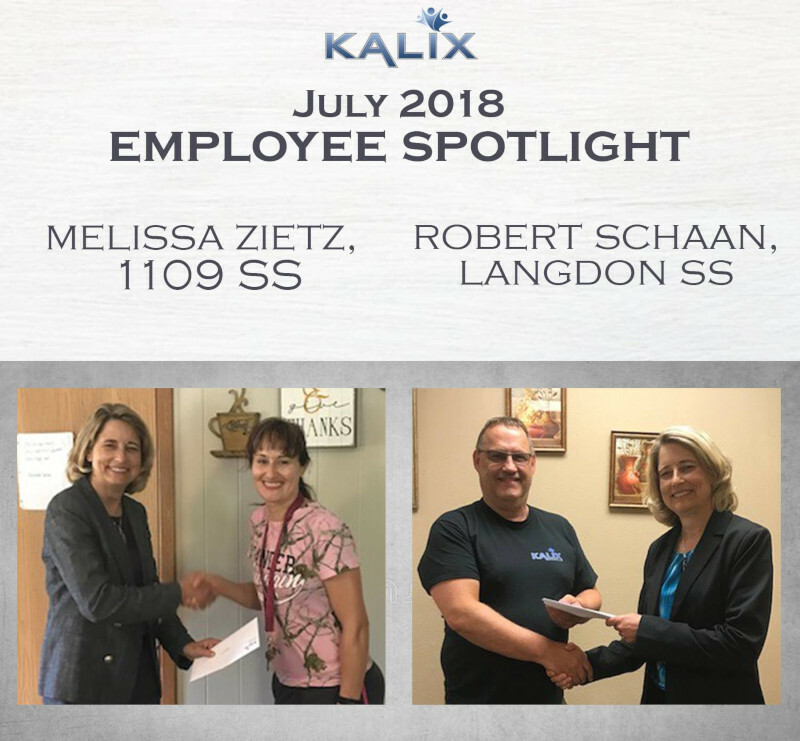 Congrats to Melissa Zietz and Robert Schaan for receiving July’s Employee Spotlight! Robert was nominated for two major achievements: (1) He successfully encouraged healthy eating habits and increased exercise for a person that had recently gained weight. Not only did the extra weight disappear, but one of his roommates also started working out at the activity center! (2) Robert helped a person transition from getting a ride to work to taking the bus to work, resulting in more independence and a greater degree of job satisfaction. Melissa utilized active support principles to change breakfast habits at 1109. Tenants were used to having breakfast prepared for them, but several people now get out the ingredients & supplies, and cook their own eggs with minimal assistance. Melissa follows the same idea with other everyday responsibilities, ensuring that people are present and involved when running errands or completing other tasks.